A great do-all frame. Ready for cyclo-cross, trail-riding, commuting and medium duty loaded touring. Comes in a wide range of sizes to fit you right -- up to 66cm! In 2017, we increased tire clearance slightly and added stiffer, lighter dropouts. 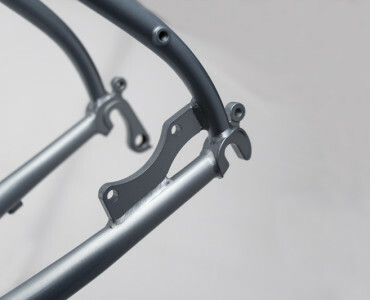 We have also added an ED coating to the insides of our frames for long term protection against rust. 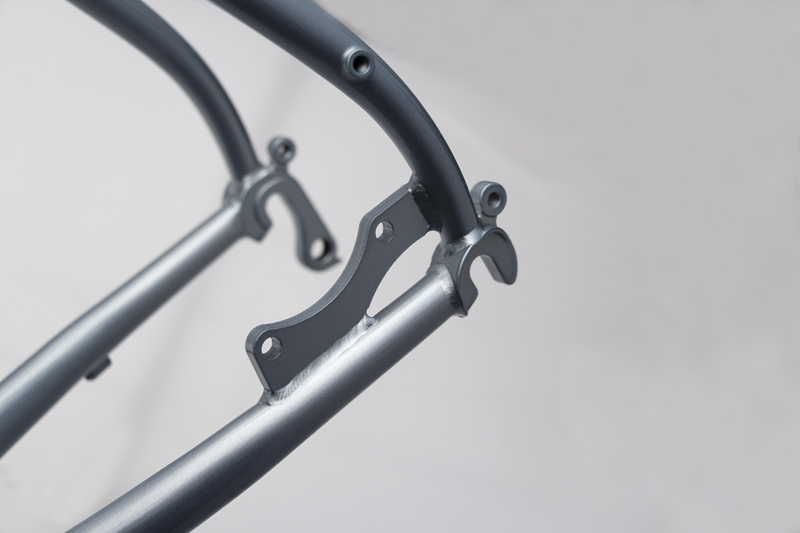 - Acceptable fork rake: 44mm - 50mm - Rack and Fender mounts: We recommend using the dropout eyelets for racks. 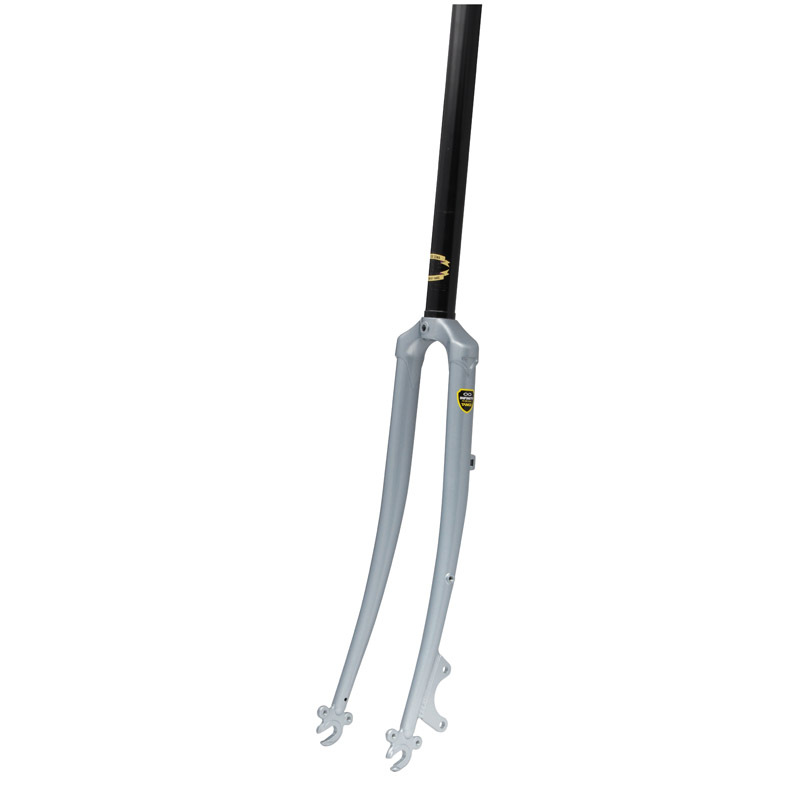 Do not use the lower set of seatstay bosses for racks unless it is for loads under 15 lbs. Either eyelet or boss set can be used for fenders. What if I want to put 650b wheels on my Double Cross Disc? Doing a 650b conversion can be a fun experiment. People do it for the ability to run wider tires with fenders, to run those nice supple randonneur tires, to reduce toe overlap, to lower the bike's bottom bracket height or just for curiosity-sake. The main concern when changing your tire size is how the ride will be affected. Generally you'll notice only slight differences if at all. - The front trail difference is negligible: about 2-3mm less. So steering shouldn't be affected. 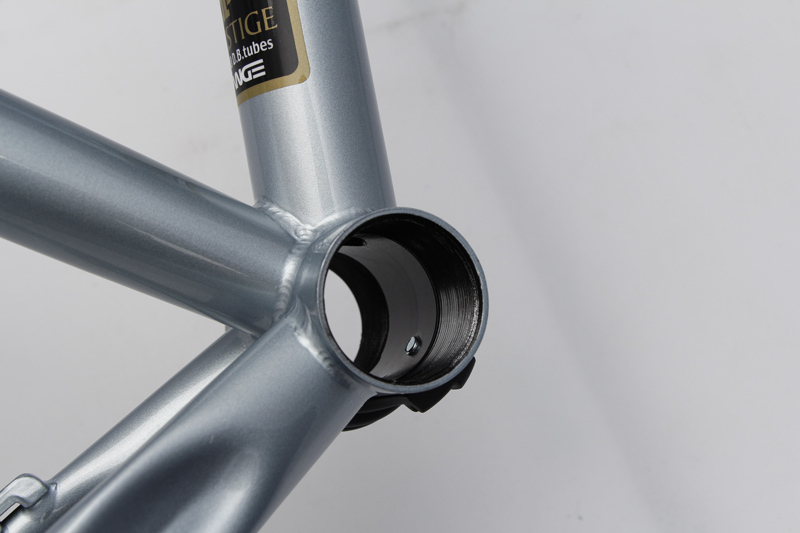 - The bottom bracket height(BBH) is the biggest change: With 700cx 32 tires your bottom bracket height is about 277mm. With 650b x 42 tires, BBH = 269mm With 650b x 33 tires, BBH = 265mm. 265mm is about the BBH of a race bike, so stability and cornering theoretically will improve, plus there's no worry of pedal strike, since BBH is not at touring bike height yet. But BBH will be lower than what is generally recommended for CX or aggressive trail riding. Cruising fire roads and open gravel trails is still doable, but please test your conversion out in a safe controlled manner. - The reduced front tire/toe overlap is nice to have, especially on frames 54cm and smaller. 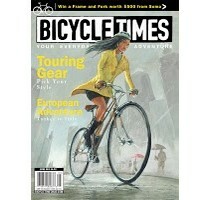 - Please note that JUST switching to 650b tires does not make your bike handle like a traditional randonneuring bike. The tubing specs on randonneuring bikes like our Grand Randonneur is significantly different than on the Double Cross Disc. 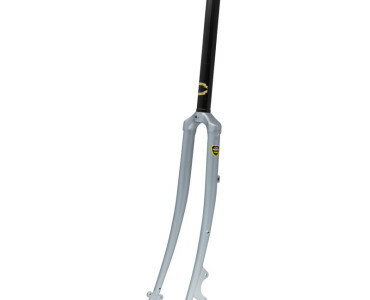 You would need a low trail / high rake fork to make your bike more front load-friendly, if that is a goal. 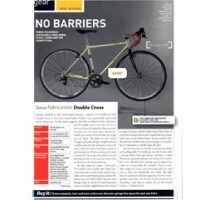 Otherwise the conversion should yield a great bike for touring or fast commuting. The Double Cross Disc does not fit any knobbies wider than 45mm/1.75". The search narrowed the candidates to Salsa, Surly and Soma. While the Surly Long Haul Disc Trucker is a champion tourer, the geometry is too touring for my liking, and I didn't really like the looks. 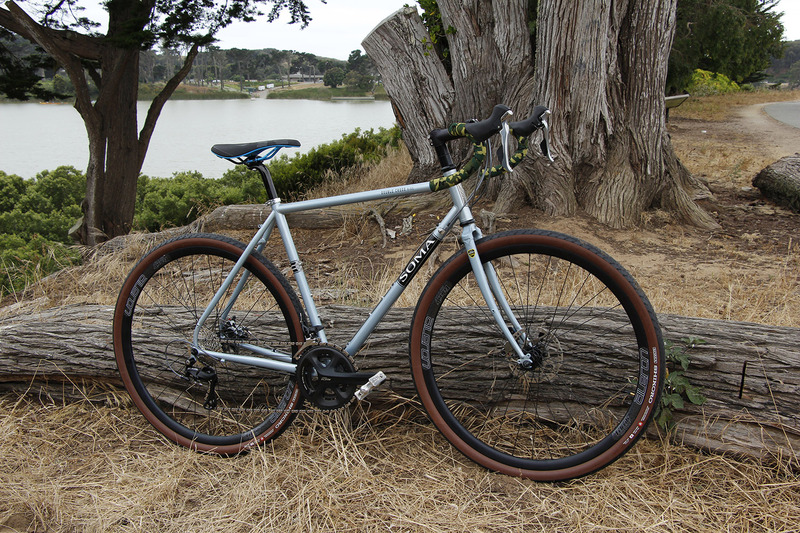 The Salsa Doublecheck is a strong candidate, but I didn't like the fact that Salsa would not divulge what kind of tubes they use to make the frame. 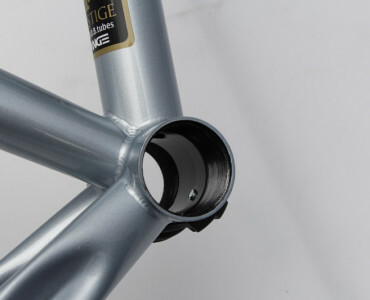 Whilst, Soma proudly proclaims the tubing is Tange Prestige, double butted. While welding is done in Taiwan, as is the Tange factory now, I understand, I find the welds flawless and the paintwork very nice indeed. Not Baum, or even Pegoretti nice of course, but nice enough. 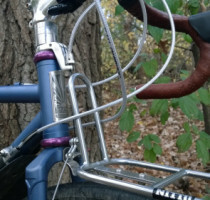 [Excerpt of Review on https://maxthecyclist.wordpress.com] Is it a cyclocross bike? It’s easily shouldered, the geometry is tight, and the handling is aggressively snappy. The hallmark of a good cyclocross frame, in my opinion, is in how it negotiates terrain above its pay grade, and the Double Cross handles effortlessly; singletrack is not just possible, it’s encouraged. This is a race day bike that really thrives in the time spent riding between race days. Is it a road bike? Maybe the new buzzword “All-Road” is more appropriate. With skinny rubber, the frame shows its flavor, soaking up road noise and vibration better than most. ‘Smooth’ is cliche, but it’s almost the only word to use. The Double Cross begs to be ridden all day. In my opinion, your most fun bike should be the one you commute on. Why waste the transitional period between work and home? 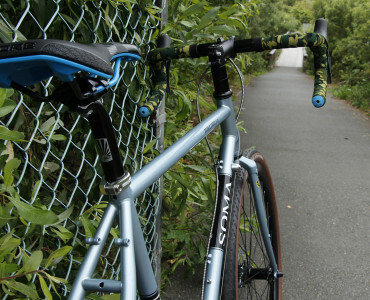 The Double Cross has all the durability and reliability demanded by the battlefield of potholes between A and B, but handles it with a certain grace and agility the traditionally overbuilt commuter frames can’t emulate. As mentioned previously, this bike wore a lot of hats. I used it primarily as my daily rider, taking it all over Western Massachusetts on pleasure rides, missed-my-alarm commutes, grocery runs, and all-day adventures. I almost always rode it fast, hammering through traffic and taking irresponsible lines across my swarming college campus. The bike is confident through almost everything. It loves standing still in a trackstand as much as it likes hurtling back up to speed during acceleration. It’s extremely maneuverable, and never truly feels out of its element. I did say “almost.” The bike does get a little bit antsy over 35mph. It’s not the most confident descender ever, although pushing forward in the drops and keeping your seat clenched between your knees in an aero tuck keeps the bike from feeling too squirrely. It’s not unstable, it’s just less stable. It’s the only place where the bike didn’t feel like it was thriving. 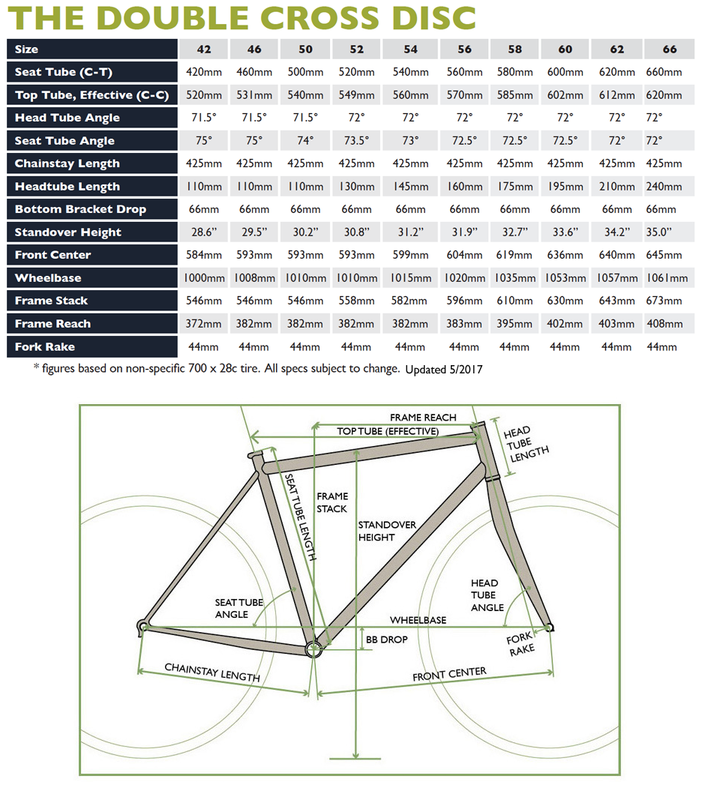 This seems to be typical of most true CX-geometry frames I’ve tried, and if that’s the “cost” for so much maneuverability during the technical riding I’ve been doing, I’ll pay for it. The bike didn’t love having a basket. I didn’t really notice until I took my hands off the handlebars, but having the weight up high made the steering feel sloppy and unpredictable. 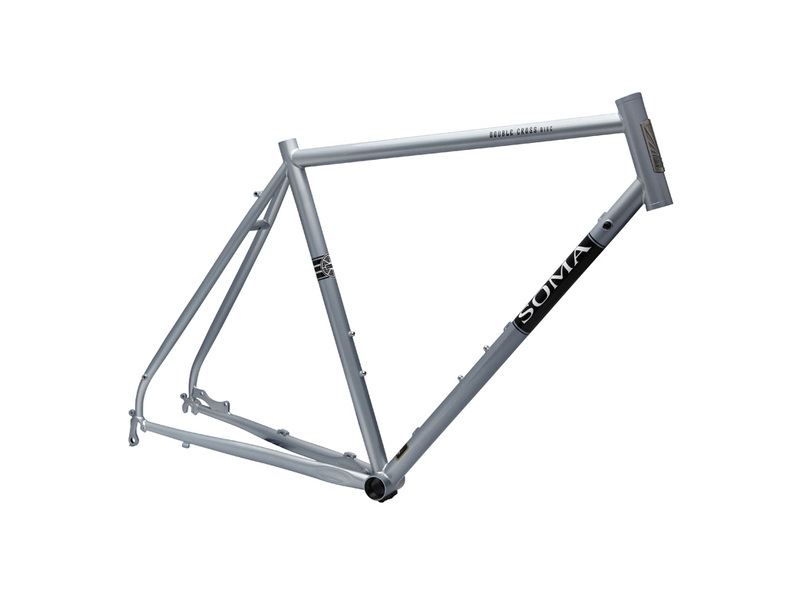 This is pretty typical of bikes with a higher trail in the front wheel, and Soma has other frames that are designed to handle a basket and front rack a little nicer. Despite the convenience, I ended up skipping the basket and sticking to my backpack. If you do intend to use this as a touring bike, I would go with a low-rider front rack and mount your panniers close to the ground. Edit: I mounted a basket on the much lower Soma Lucas rack and the speed shimmy disappeared. Nice! 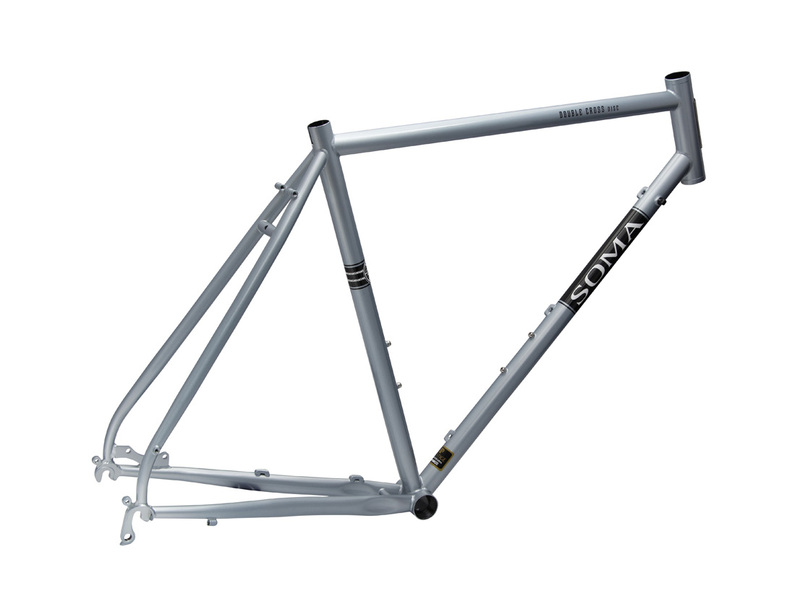 ... Bottom line: to do better than the Soma Double Cross Disc, you’d better be ready to spend double or triple the value of this complete bike. It is an absolute steal, compared to the rest of the field. There’s a reason I replaced my mountain bike with a Soma, too, and I am super bummed they came out with the Sandworm a week after I got a fatbike. The bike rides really smooth and is extremely comfortable on long rides. The bike is a little on the heavy side. Mostly because the wheel set is a very sturdy 32hole build with a 24mm wide rim. The wider rims are nice for putting fatty tires on. I’d like to experiment with the new Soma Cazadero tires on it at some point, but I will probably wait for the weather to turn before swapping tires out. I also have all alloy parts and absolutely no carbon on the bike. I do see the potential in the frame for being a good, comfortable cross racer. 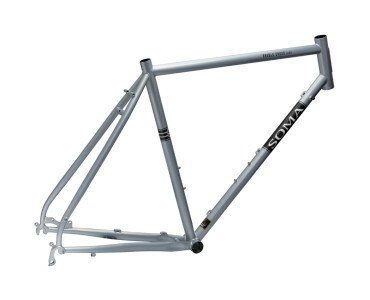 Throw a carbon fork, bars, seat post, and carbon railed saddle on the bike and it would ride like the wind. 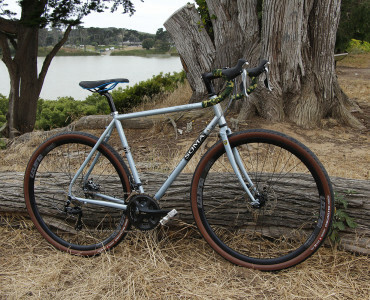 Currently I own an aluminum Raleigh cross bike, but it’s not the most comfortable thing to ride on weather beaten roads. Steel may not be the lightest material in the world, but it sure is a lot more forgiving! Overall I'd say this is one of my favorite bikes to ride, especially when I just feel like going out and getting some excercise. 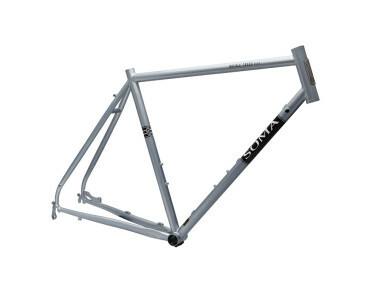 Unless I'm going for a group road road, I'll usually opt for the Soma DC over my fancy carbon road bike. This bike is the ultimate for going out cruising on back roads, hitting some dirt and getting in a good workout. I've done four and five hour training rides on it with lots of climbing and come home feeling fresh. For the full review click here. 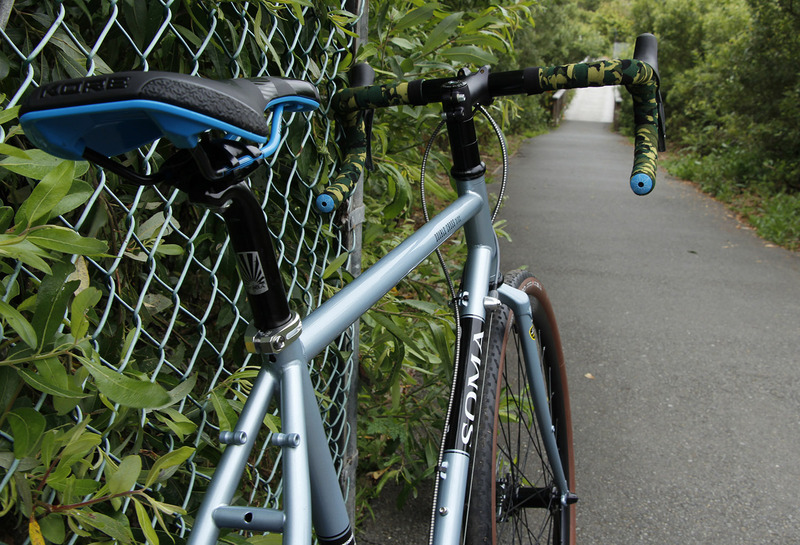 "Coming off of a stiff aluminum bike, the Tange steel felt great. The ride quality of the steel was quickly apparent as it dampened just enough of the road chatter to smooth out my commute. Although the steel dampens vibrations the frame is responsive and quick, transferring my energy to the wheels and not side-to-side." For the complete review go here.